What is the biggest threat to Sheffield? I think the National Security Council today got it completely wrong! They think the four most important threats faced by the UK are terrorism, cyber-attacks, a natural event like a flu pandemic, and an international crisis that draws the UK into conflict. Climate change does not feature in their major threats. Back in 2007 Sheffield was a whisker away from an unprecedented disaster. Had the Ulley Dam broken the resulting flood would have destroyed an electricity sub station and washed away a section of the M1 motorway. 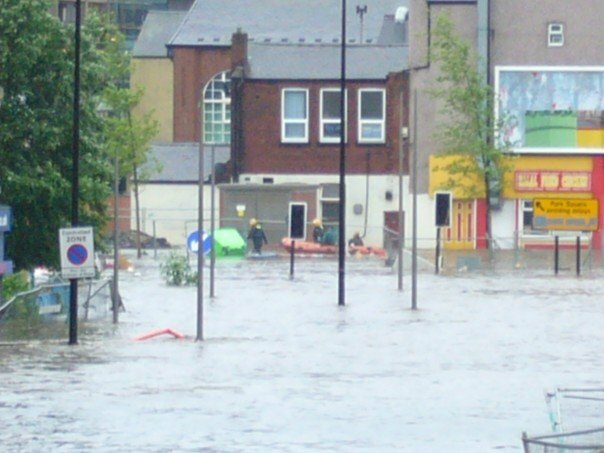 Sheffield would have been blacked out and communications disrupted for many months, not to mention the likely deaths from the flooding.Thankfully this was avoided, but the thousands of people who experienced flooding will I am sure agree with me that climate change is a major threat to our security. Caroline Lucas is quite right to question how Trident or air craft carriers can protect us from climate change. What we need to do is shift our spending on the defence budget to de-carbonise our economy and seriously invest in both renewables and a nationwide programme of energy efficiency.